Following recommendations from the Department for Education, discussions have taken place with staff and governors of West Street Primary school around the need to ensure that we are promoting fundamental British Values within our school. As a school, we value and celebrate the diverse heritages of everybody. Alongside this, we value and celebrate being part of Britain. In general terms, this means that we celebrate traditions, such as customs in the course of the year; for example, Harvest festival during the Autumn term or our annual Christmas Nativity. We also value and celebrate national events, a recent example being D Day. More low key traditions such as Christmas pantomime visits are also included. Historically: Our curriculum time travels to significant moments in British history. During these whole school topics, children learn about an aspect of life and how this has developed and changed over time. Famous British people are also studied such as inventors, explorers, scientists. All pupils have the opportunity to make choices throughout the course of each school day. They are encouraged to consider their actions wisely and to voice their opinions appropriately, knowing that they are in a safe and supportive environment. We strongly believe that all should feel confident in being able to do this and actively promote it through all aspects of the school day. Our School Council is an elected body with two representatives from each class. Fellow classmates choose and vote for the children they feel will best represent their own views. At council level the children discuss issues raised in class, by other members of the school community or by the local community and suggest ideas for ways to make improvements. A governor and member of staff are also represented on the school council. At the beginning of each school year the children in each class will collaboratively create the class rules they want to see upheld across the year. Also at the start of each year we review our expectations of behaviour and our reward and consequence system. Pupils are encouraged to engage in this discussion and offer ideas. Through our assemblies pupils and staff actively give voice to their opinions. The importance of laws, particularly those that govern each class and each school, is reinforced throughout the school day. All staff are aware of the school rules and expected standards of behaviour, and these are consistently upheld across the school. Within class lessons and assemblies, pupils are taught the importance of our school codes and the reasons for having them. They also learn about the laws that govern our country, the values behind these and how they, like our school laws, are created to protect us all. Reward systems are in place to encourage and promote positive behaviour. Also, and very importantly, regular communication takes place between home and school to ensure all parents/carers are aware of expectations. Our annual open day in September helps to ensure this. During this day children explain to their parents the systems in place, taking them to look at the various displays. They are also requested to read and sign a number of documents including Home/School Agreement and ICT Agreement. Within our schools we have created safe and supportive environments where children are able to voice opinions and make their own choices. They are taught about their rights and responsibilities, and how to exercise these safely. Many aspects of the Personal, Social and Health Education curriculum cover these matters, along with lessons on e-safety and our annual Friendship Week covering anti bullying and personal safety. Children learn the consequence of their actions and that their behaviours have an effect on their own rights and those of others. All members of our school are encouraged to treat each other with respect and to understand what this means. 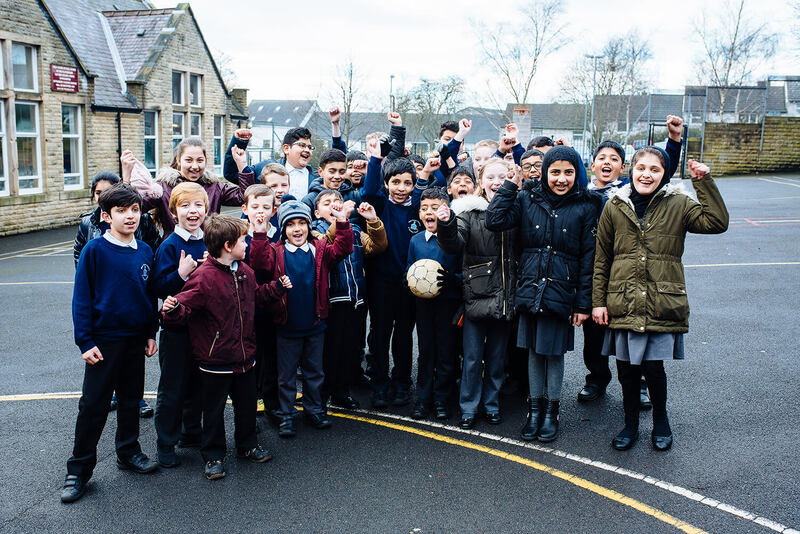 Our school is situated in an area of cultural diversity, and our school community reflects this. We promote and celebrate diversity with the children, helping them to understand their place in our society. Issues such as bullying, racism and prejudice are dealt with in lessons and assemblies. Classes visit places of worship that are important to different faiths. Special celebration events are held and parents and visitors from different cultures, faiths or religions share their beliefs, customs, food and knowledge; all greatly enhancing learning within the schools. Our annual Hollywood Bollywood event continues to grow in success and the positive impact it has across our community. Within West Street we actively challenge pupils, staff, parents, carers and other stakeholders who express opinions contrary to the fundamental British Values detailed here, including any “extremist” views.